August 31st (originally July 31st, 2018) - WarGames, but Cooler — This is Lit! Hello All, Due to technical difficulties, this episode will be airing August 31st! On July 31st we will be releasing 'It Devours!' Thanks. 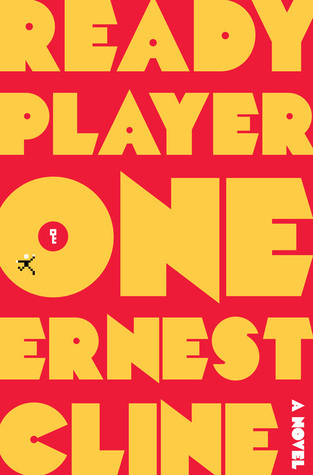 For their fourth episode, Casye and Elizabeth will dive into the world of OASIS with Ready Player One by Ernest Cline. Casye, the gamer of the two, will have to explain references while Elizabeth stares at her like a deer in the headlights. The subject of 'The Hero's Journey' will come up a lot along with every 80's movie Elizabeth has seen. All hail John Hughes. Perhaps it's time to brush up on your 80's pop culture. In the dystopian future of 2044, teenager Wade Owen Watts spends most if his life in the digital world of OASIS. With the cheap energy era over, most of society has done the same as Wade. Five years ago, the creator of the OASIS died. With no heirs, he scattered clues throughout the OASIS to find the biggest prize imaginable, control of his multi-billion dollar fortune and the entire OASIS itself. When Wade stumbles across the first clue, it has very dangerous, real-world consequences. There are people who would kill for what Wade now has. An entire world is at stake and Wade is the only one who can save it.